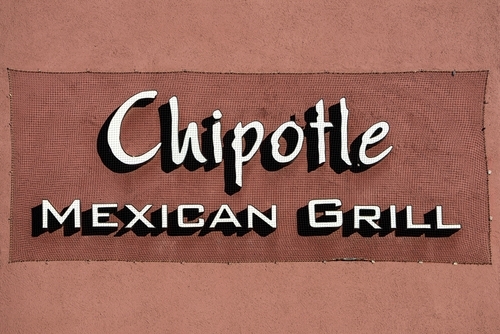 Jefferies on Thursday lowered its rating of Chipotle Mexican Grill, Inc. (NYSE: CMG) to hold from buy, saying “valuation is full” after the stock’s 65% run-up this year. Shares of Chipotle Mexican Grill were falling 1.4% in trading Thursday to $708.76 after the burrito chain was downgraded. “Although we believe that there are strong fundamental drivers still to unfold for CMG…earlier than expected loyalty program roll-out and good [same store sales] checks have propelled the stock,” Jefferies analyst Andy Barish wrote in a note to investors. “Although the company reached an impressive 1 million rewards members in barely 10 days, we think this key driver, along with the company’s powerful digital drivers are now being better understood and discounted in the stock,” Barish added. At the same time, the analyst set a $700 price target on the shares that is 19% above FactSet’s $589 average but also $100 higher than his last one, which was surpassed in late February. It hasn’t been easy on the Chipotle bears. Gordon Haskett’s Jeff Farmer, who has an Underperform rating on the shares, boosted his price target to $580, roughly 20% below current levels, from $490. And JP Morgan’s John Ivankoe reiterated a Neutral rating and $550 price target on the stock. $CMG back to bloating the burrito at 115 PE, after y’day downgrade.